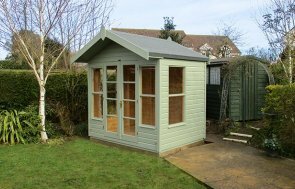 This 8 x 10 Morston Summerhouse is one of our broader range of garden summerhouses, all of which include installation and delivery by our in-house team of Specialist Installers, who will make sure your garden building is correctly set up before they leave. An electrical pack featuring interior and exterior sockets and chrome spotlights was included. The exterior was finished in our standard shiplap cladding, coated with Valtti paint in Lizard green which provides long lasting protection against wind and rain. 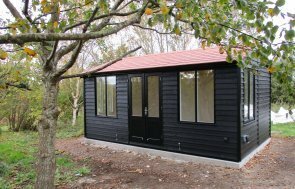 All of our garden buildings are hand built in our factory HQ in Norfolk from FSC® Certified timber sourced from Northern Sweden. Our team of skilled craftsmen hand-build every door, window, wall and the roof from hand which allows us to maintain our exceptionally high standards and reputation for building some of the best timber garden buildings on the market. 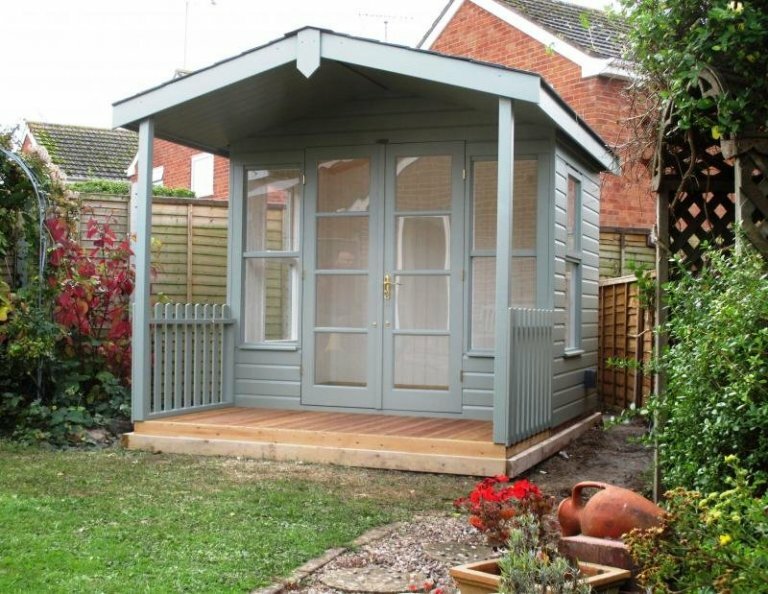 If you would like to view some of our range of garden buildings for yourself, we have six show centres around the UK, each of which have around 25 different sheds, summerhouses, garden rooms, garden studios, timber garages and greenhouses. Why not visit a show centre located in Narford, Norfolk, Edwalton, Nottinghamshire, Burford, Oxfordshire, Newbury in Berkshire, Sunningdale, Surrey and Brighton in East Sussex.